The penultimate episode of my Disney fridge magnets collection series on my YouTube channel. New videos posted every Monday and Friday for the next few weeks – there are 7 parts in total, so don’t forget to subscribe so that you don’t miss out. The collection I’m sharing is mainly from Walt Disney World Parks, but there are also some from Disneyland Paris, and the other theme parks in Orlando – Universal, Islands of Adventure, SeaWorld, Aquatica, and Discovery Cove; as well as from Busch Gardens in Tampa Bay, Florida. I love collecting fridge magnets, I always have. They’re such an easy souvenir to buy, and can always be on display. My fridge is covered in them from places that we have visited over the years; from days out and family holidays, to all of my Disney fridge magnets, and the surrounding theme parks in the Orlando, and Florida area. I hope you enjoy this series of videos! You can watch it below, or over on my YouTube channel. If you are a collector of fridge magnets, or of other Disney collectables, let me know in the comments section! 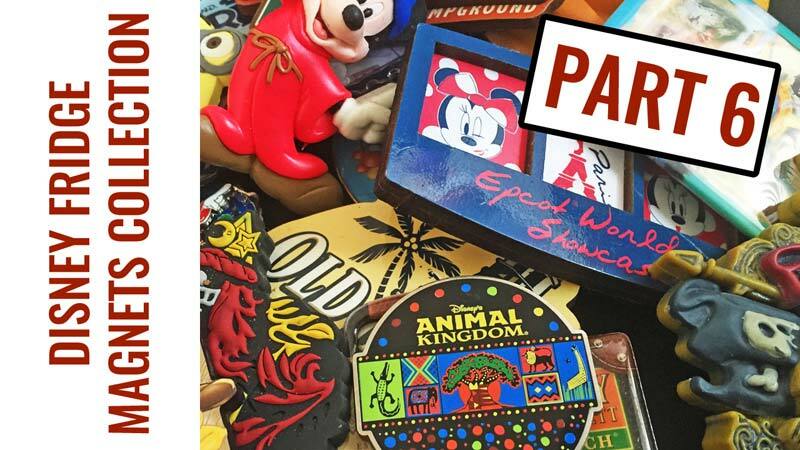 Watch part 5 of this Disney Fridge Magnets Collection here.